Scroll down the page to find older news items and community links. If you're involved in gardening on Brisbane's southside and have news to share, please get in touch. Endemic Landscapes offers complete landscaping solutions, from consultancy and design to quality construction. Whether small-scale makeover, garden renovation or new landscape, call Nick for a free initial consultation in a language you can understand. Nick's knowledge of local plants and soils is paramount to ensuring your garden not only looks great on completion but thrives for you to enjoy for many years to come. Retaining walls, driveways, fencing, irrigation, water features and turf included in the range of residential and commercial services offered. QBCC Licence No 1302629. Servicing Brisbane, Gold Coast and Northern NSW. Visit the WEBSITE for more information. Bali by Design can help make your tropical garden dreams come true with hand carved statues, pedestals, lanterns, pots and water features such as hand-carved limestone water walls. A range of authentic Balinese gazebos are on display, but special designs can be ordered in styles and sizes customised to your individual needs and taste. Pictures, homewares and jewellery are also available. Many examples of the range can be viewed online at the WEBSITE. Bali By Design are direct importers, so please phone for an appointment, or to simply discuss your requirements. Western Landscape Supplies offers a wide variety of landscaping products for the homeowner or tradesperson. Mixes, mulches, composts and fertilisers for the garden. Soil, sand & gravel, including crushed concrete and decorative pebbles. Range of treated timber for fencing or retaining walls, cement, steel reinforcing products, and much more. Under New Management from 2007 in two locations. Kelley's Landscape Supplies now incorporated with Western Landscape Supplies. M & J Ellengrove Nursery is all about plants, just plants, located in a peaceful country setting just minutes away from Forest Lake and Springfield. Wide selection of landscaping plants suitable for SE Qld conditions, including tropicals (palms, bromeliads, cordylines, ferns etc) and drought tolerant plants. Plant package deals offer value and an easy way to buy if you're starting a new garden or renovating an old one. Ask about the starter garden package or the Balinese garden package. Friendly staff on hand to help new gardeners, while lovers of plants will enjoy exploring the vast range. Under new management since 2006, drop by and see what's new! The Frangipani Gardens boast a vast range of Plumeria varieties, in many different colours, collected from across Australia and overseas. Available as potted plants or cuttings from the nursery at Ellen Grove (near Forest Lake, southwest of Brisbane) or by mail order. Because of state quarantine restrictions we do not currently send plants/cuttings to WA and TAS. The Nursery is open by appointment only. During your visit, you'll also be able to see trees growing in situ and talk with experienced growers. For more information, visit The Frangipani Gardens WEBSITE. Turner's Garden Centre has been helping gardeners for over 30 years. Friendly, practical advice from horticulturally-trained staff is always on hand. There's a full range of plants from traditional to trendy, including new-release natives, exotic flowers and lush indoor varieties. Customers will love the range of plant care products, mixes, mulches, pots, planters and organic solutions. Garden ornaments including animals come in a range of materials and colours to decorate walls or garden. Be tempted by ready-to-go potted plants in funky pots. Turner's is famous throughout the Brisbane region for its edibles, with more than 400 varieties of fruit trees, vegetables and herbs in stock. Home of the Turner's Lemonade Tree, citrus are a speciality. Email: caz4156@hotmail.com Whether you're revamping an established garden or starting from scratch, Wombat Horticultural Services can devise a plant list or garden design to suit local conditions and your needs. With 25 years experience in horticulture, selection of the right plants for your garden is a speciality. Advice on all garden-related matters. Pest and disease identification and soil testing. Garden cleanups, planting and maintenance can also be organised. Servicing Brisbane southern and eastern suburbs and Redland Shire. Reasonable rates for all services. Phone Carolyn on 3341 5214 or mobile 0415 115 246 for more information or to arrange an onsite consultation. If you want to learn bonsai, we can teach you. We have been conducting bonsai courses longer than any other current teachers in Australia, and our Teachers are nationally and internationally registered Bonsai Instructors. Please check our WEBSITE for details of upcoming courses. We are also suppliers of bonsai pots, tools, books, wire, magazines and accessories at prices far less than you can access anywhere else. We also provide a bonsai repotting service at the Mt. Gravatt Showground. See our WEBSITE for details of these things. We were formally located at Musgrave Road, Coopers Plains and a prior Moorooka site for a total of 30 Years. Nielsen's Native Nursery is a family operated business primarily promoting the use of Australian native plants in South East Queensland. We are fortunate to have an exceptional blend of staff possessing a diverse range of knowledge from propagation and growing right through to the use of plants in your landscape design. Nielsen's Native Nursery is accredited under the Australian Garden Centre Accreditation Scheme. Water features are a specialty at Waterford Garden World. Stop by to discuss your needs and get ideas from our display gardens with over 30 running waterfalls and fountains. We can supply a huge range of fountains, pumps, ponds, liners, pebble pools, lighting, artificial rocks and accessories. We also have a large range of pots, statues and ornaments. We stock general garden needs, giftware, and a wide range of plants including water plants, palms, ferns, natives and hard-to-get plants for keen gardeners. Mailmaster is Australia's largest online letterbox shop, offering fast and reliable service at competitive prices. Designs are available in a huge range of styles and colours for residential and commercial properties. Complete your new letterbox with a new house number available from Mailmaster in a variety of styles. You can also purchase the Mailmaster range from Southside Letterbox Shop and Accessories, Coorparoo, Brisbane. Qualified Horticulturist with 15 years experience in all aspects of horticulture, gardening, pest and diseases, soil nutrition, soil problems and correction. Lawn installation and maintainence. Sourcing of plants and materials for your garden. Garden tidy-ups and general gardening problem solving to cater for all budgets is our aim. Services are available in Logan City area and Brisbane Southside. Simply phone or email to discuss your needs. For the most up-to-date information on opening hours, items in stock, prices etc, be sure to contact the business directly. The above list may include online retailers and mail order suppliers. 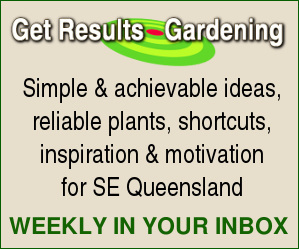 If you operate a nursery, garden centre, landscape supply yard, turf farm or other garden-related business located in Logan or Brisbane south (or servicing that region), why not advertise? 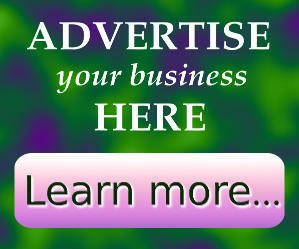 Advertising information. Save Bahrs Scrub Alliance Logan and Albert Conservation Association. Please send in your link or news item if you're involved in a gardening club, environmental group, community garden or similar organisation. Nurseries, landscapers, gardeners, mowing contractors and other garden-related businesses operating in Brisbane's southern suburbs are invited to advertise. Suburbs to be covered on this page include: Acacia Ridge, Algester, Annerley, Archerfield, Bahr's Scrub, Bethania, Boronia Heights, Browns Plains, Calamvale, Camp Hill, Carina Heights, Carindale, Carole Park, Chambers Flat, Coopers Plains, Corinda, Crestmead, Doolandella, Drewvale, Durack, Eagleby, Eight Mile Plains, Ellen Grove, Fairfield, Forest Lake, Greenbank, Greenslopes, Hillcrest, Holland Park, Holmview, Inala, Kingston, Kuraby, Logan Reserve, Loganlea, Macgregor, Mansfield, Marsden, Moorooka, Mt Gravatt, Mt Gravatt East, Mt Warren Park, Munruben, Murrarie, Nathan, Oxley, Pallara, Park Ridge, Park Ridge South, Parkinson, Rochedale, Rochedale South, Rocklea, Runcorn, Salisbury, Shailer Park, Slacks Creek, Springwood, Stretton, Sunnybank, Sunnybank Hills, Tanah Marah, Tarragindi, Underwood, Upper Mt Gravatt, Waterford, Waterford West, Willawong, Windaroo, Woodridge, Yatala, Yeronga, Yeerongpilly. The organisers are reminding Logan gardeners that entries open on 3rd August and will close 24th September. Judging will occur between 5th and 6th of October. The waterwise gardening theme will be continued, but with some new categories including best street and/or neighbourhood. More information from Logan City Council here: Garden Competition blooms again.